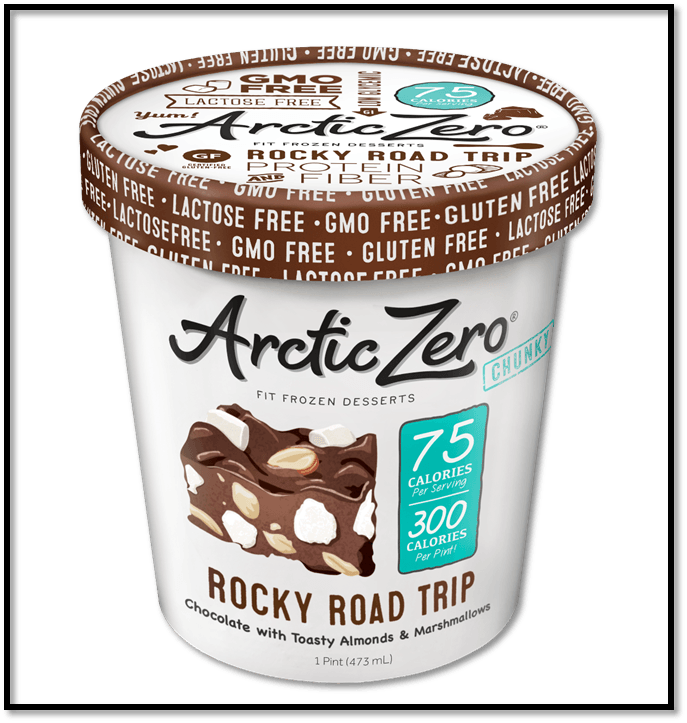 If you’re wary of gluten-free ice cream brands after a disappointing bowl or two, we’ve got your frozen happiness right here! 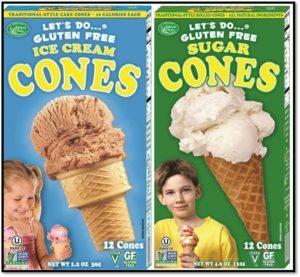 And you aren’t beholden to use a bowl, as we’ve found a gluten-free ice cream cone, too. Packed with 10 grams of protein in every flavor, ProYo’s new Low Fat Ice Cream is filled with powerful nutrition and clean ingredients to give you fuel to keep you energized. Available in seven flavors, ranging from Dark Chocolate Toffee to Blueberry Pomegranate, ProYo proves being good never felt so indulgent. 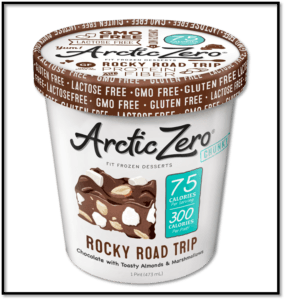 Arctic Zero has introduced Chunky Pint varieties to its luscious line of low-glycemic, lactose-free and GMO-free ice cream to satisfy all your cravings! 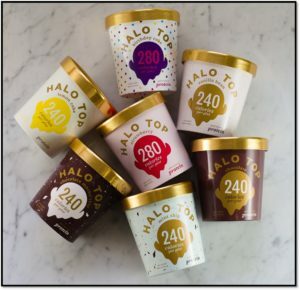 While these flavors may sound sinful, each pint contains only 150 to 300 calories. So dig in guilt free. With warm weather and longer days right around the corner, what better way to stay cool than with ice cream that is not only delicious but healthy, too! With most gluten-free Halo Top flavors containing only 60 calories per serving, 2 grams of fat and 4 grams of carbs, you can’t go wrong. Never feel like you have to settle for a cup again! 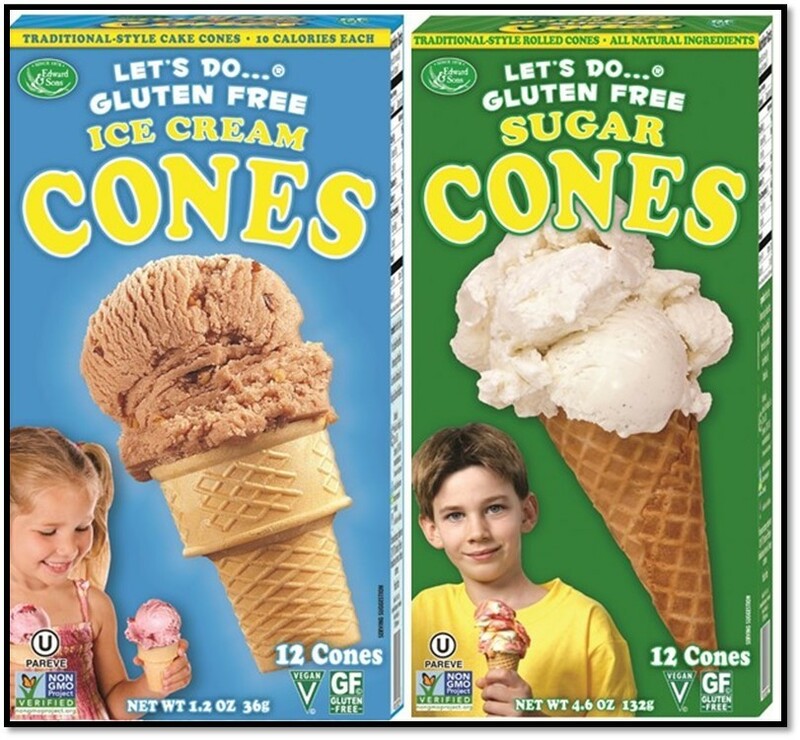 These gluten-free cones from Edward & Sons—available in traditional cake style and rolled varieties—make the perfect vehicle for your favorite frozen desserts. The only thing to worry about is whether you’ll be having one scoop or two.